VU is a new brand in Indian market and everyone has a bit of doubt whether to buy VU televisions or not. 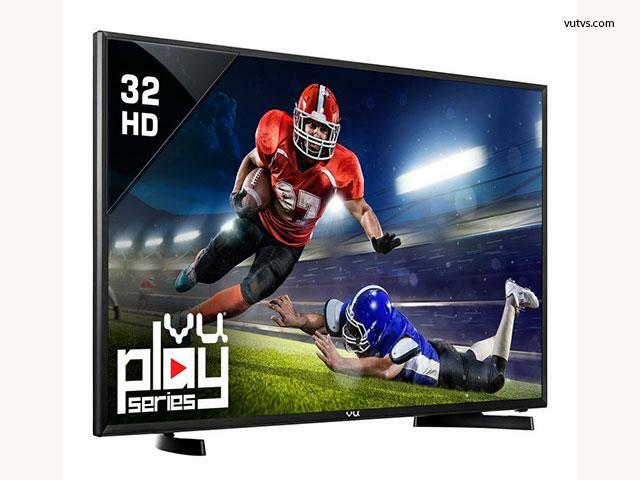 We are writing a review on VU 32 inch HD ready TV and put down the pros and cons of it. I checked the price of this tv on snapdeal, flipkart and amazon and found that the price was low in snapdeal. This product was priced at Rs.12500 in snapdeal and finally I bought it there. At SnapKings you can buy snapdeal televisions with a great discount. Let see the review of this television. This TV has many good things which are listed below. The picture quality is superb and is comparable with sony and Samsung televisions. We have tested this out only on HDMI port connected to a computer and Set top box. The custom picture quality setting helps you configure the viewing experience to suit your needs. There was no lag in playback time from the source device. Colors are surprisingly sharp. This TV comes with A+ Grade led panel which gives bright colours and very good contrast. The viewing angles are perfect Horizontal 178 and vertical 178 degrees. You can watch it from every corner. It comes with 2 USB ports and 2 HDMI ports. The VGA port is very useful to attach a computer to play games and all. You can connect it to external hard disk and can play media files smoothly without any lag. It has a simple menu and is very simple to understand. This tv comes with a picture Freeze option. In USB mode this TV supports most of the video formats all most all regular formats like Mp4,mkv,flv,vob and avi. Ultra Light Weight (4.3 KG) which enabled me to mount in on a window. Now let see the bad things about this television. The remote quality is not that much great and delicate too. It might break after a while. LEDs do not really have the best audio experience in general because of the thin construction frame. The quality of the sound is Ok and not as great as sony. However you can add a home theater for better sound experience or otherwise add a good quality speakers. The refresh rate is little bit slow. It is visible only while changing the channel. However when it is connected to a setup box or dish then there is no problem with refresh rate. If you connect a speaker to TV it plays a little bit noise sound like hiss even nothing playing moment. VU could have provided a better wall mount. As it is a new brand, there are not too many service centers around you. This could be a problem. To summarize this is this is an ideal TV for those who are low on budget. The tv looks simple with great brightness. The ease of use of the TV is simply outstanding, the navigation menu is simple and associated with relevant icons. Overall a good buy and people who buy it from SnapDeal are rather fortunate souls, because they get the best service in the business.